Bank Indonesia (BI) Representative Office conducts comparative study to Banyuwangi regarding tourism management.
" This comparative study is done to learn and look closely about tourism management advancement in Banyuwangi"
Head of Bank Indonesia (BI) Representative Office in Jakarta, Trisno Nugroho mentioned, this comparative study is done to help describing tourism management in various regions in Indonesia. Moreover, purpose of this comparative study is to update about economy and strategy issues in Jakarta. 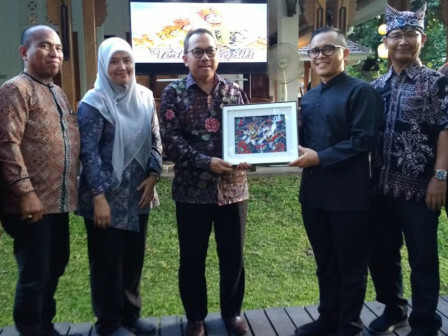 "This comparative study is done to learn and look closely about tourism management advancement in Banyuwangi," he explained, Saturday (11/3). Because, he continued, Banguwangi also inspires Jakarta in order to improve its tourism potent ial. "Thus we will continue to encourage improvement in Jakarta's tourism sector," he asserted.